Does local treatment at time of diagnosis improve outcomes for men initially diagnosed with metastatic disease? Over the years, a good deal of data has been accumulated suggesting that local treatment (ablation) of the primary tumor may have benefit in the long-term outcomes of men with metastatic prostate cancer at time of initial diagnosis. However, this hypothesis has never been proven in a large, well-conducted clinical trial. Rumors have reached us that a major trial may soon start to enroll patients to test this hypothesis. Such a trial would — as we understand it — compare current standard forms of first-line treatment for newly diagnosed, treatment-naive, metastatic prostate cancer patients to standard forms of first-line treatment plus either surgery or radiation therapy to remove or ablate the primary tumor. We are hoping to be able to provide some more details about this new trial within the next couple of weeks. As fast as prostate cancer technology is evolving, such a trial would benefit from a somewhat flexible protocol, along the lines of the flexibility in the STAMPEDE trial. For example, evidence is accumulating that both metformin and transdermal estradiol (which I was on for my last round of ADT, which supported IMRT TomoTherapy radiation in 2013) are beneficial. I just checked the STAMPEDE trial to see what was new, and I was pleasantly surprised to see that STAMPEDE is now looking into both of these! Would there a rationale for excluding Jevtana®/cabazitaxel and insisting on docetaxel? I realize that docetaxel has been better studied, and that common treatment aids interpretation, but cabazitaxel is looking pretty good and could be in the lead when such a trial would be launched. I’m thinking the protocol should permit either. Also, there needs to be rigorous monitoring and adjustment of treatment in a timely way when a current treatment is clearly not working. Monitoring should include genetic testing with allowance for changing treatment as guided by emerging genetic research. If you make trials like this as complex as you are suggesting, the costs go up rapidly and the variations in how the patients in the trial are being treated mean that it becomes impossible to determine exactly what types of intervention are having which effects on outcomes … rapidly making the trial pointless. Let’s just wait until we have more specificity with respect to the actual trial protocol before were start critiquing the possible “might have beens”, several of which are probably not feasible for all sorts of reasons. I think the “best” approach will be trying to mix various therapies in order to hit the cancer hard when discovered and aim for a cure, especially in oligometastatic prostate cancer (so I’d add for instance Provenge to the mix), instead of sequencing drugs. Perhaps this trial will be able to prove that a cure (or long-term remission) is possible, at least in very few, selected patients. Perhaps using chemo cocktails will also be proven to be better than just docetaxel. Here is an interesting study. I’ve seen a patient on a board, claiming to be one of the nine patients from that study with a complete response and to be off drugs for 5 years, with no sign of disease and normal testosterone levels. If true, that should be huge news. Anyway, I wonder if the treatment paradigms for metastatic hormone sensitive prostate cancer will not shift a lot in the next 10 years and if speaking about aiming for a cure will not be more common. The below describes trial results that indicate patients with Gleason scores of 9 and 10 are best served by treatment with external beam radiation therapy (EBRT) plus a brachytherapy (BT) boost accompanied by androgen deprivation therapy (ADT) rather than EBRT + ADT or RP (see this link). Sitemaster, I understand your point, but somehow we need trials that will be meaningful for the future and not doomed to obsolescence almost from enrollment. 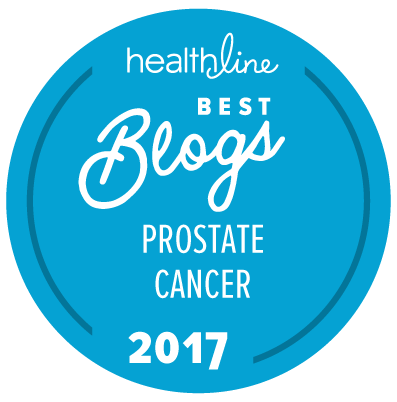 I’m seeing this as a tough challenge for prostate cancer, where advances are happening so quickly, so often. Some trials of radiation therapy for prostate cancer come to mind where advances in dosing, aiming, adjusting etc., have happened so quickly that results from some trials are outdated on publication. STAMPEDE as a model: I am not too familiar with the design of the STAMPEDE trial, but I am aware that it has some special and somewhat unusual flexibility features as alluded to in my first post. Maybe this upcoming trial could incorporate some of the lessons learned from STAMPEDE. Is there a way that those of us who are interested could review and comment on the tentative design for the trial? The best time to get involved is of course now, rather than after the protocol has been finalized. (I’m still not over the selection of alpha-tocopherol for vitamin E and a L-selenomethionine for selenium in the SELECT trial, and that was back in the early 2000s. That’s an example where a lot of us thought the specific choices to represent vitamin E and selenium favored convenience at the expense of value. Some of us were even convinced that emphasizing alpha-tocopherol would tend to deplete gamma-tocopherol, which looked like a better anti-cancer agent; in other words, we were concerned that dosing alpha-tocopherol in two of the arms of the study would foster cancer growth. Of course the results more or less established that “vitamin E” and “selenium” were possibly more harmful than good, but the trial never established whether gamma or mixed tocopherols and/or another form of selenium might actually help us.) Both NIH and the Prostate Cancer Research Program under the Congressionally Directed Medical Research Program provide for survivor/advocate input to research proposal selection, as you know, and the FDA provides both survivor input and a public comment opportunity for its advisory committees. Thanks for spotlighting this pending trial which would address such an important issue. Wile the study you refer to is interesting, it has no comparative group to which we can compare the responses of these selectively treated patients, so we have no idea whether their responses were any better or worse over time than (say) patients treated in the CHAARTED or the STAMPEDE trials. Treatment paradigms for mHSPC will undoubtedly be significantly transformed over the next 10 years …just as they have over the past 10 years. The projected new study described above is addressing just one of the relevant questions. Yes, and Allen Edel reported on this trial for us not so long ago … but none of the patients in this trial are known to have had metastatic disease. Indeed, the presence of metastasis was one of the exclusion criteria. (1) Almost every major trial group now has some form of patient representative on the trial design team for every trial that gets funded. How good those representatives are and how much influence they may actually have into trial design is a whole other issue. (2) One of the problems today is that what we know at the time a trial is designed is not just out of date by the time the results are published. Many trials are actually out of date by the time the trial is approved through all the relevant IRBs and gets started. My entirely personal view is that there should be simple ways to address this and to make relevant adjustments to trial designs when that happens. It takes way too long to get from a first draft of a trial design to the actual initiation of most trials. The base model is outdated. (4) The STAMPEDE trial does indeed have some very unusual features in that it is not one trial at all but a series of trials that all use the same baseline. However, the cost of the STAMPEDE trial over the past decade and more has been huge. As far as I am aware, neither the NIH nor its cooperative groups have anything like the funding to be able to do trials in this manner. On the other hand, I would argue that many cancer trials — and not just prostate cancer trials — should be taking similar approaches to that used by the STAMPEDE investigators. But without the appropriate funds, what are researchers meant to do? Sitemaster, thanks for sharing your experience and for your thoughtful reply.